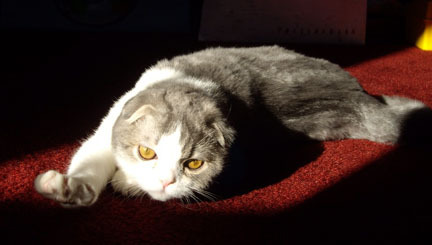 This is a blue and white classic tabby boy. 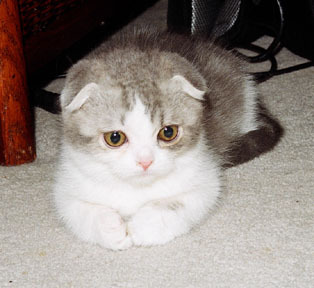 He has short hair and folded ears. He is a very friendly boy and loves to play with the other cats. He is a great soccer player! Even though Cornelius was an "only," he was raised along with several other kittens born within several days of each other, so he did not lack company. His new mom, Jennifer, says that he is doing very well!